Spike Island has established itself as a significant international centre combining working and exhibition space for the contemporary visual arts. Located at the edge of Bristol’s Harbourside, Spike Island offers seventy affordable long let studios; project space for the making and showing of ambitious new work; and a number of spaces for commercial cultural industries. In parallel to this, a programme of residencies and fellowships are accommodated within dedicated shorter let spaces. The programme of exhibitions commissioned for the gallery takes place against the background of critical debate and the international residency programme for which Spike Island is renowned. Belfast, N. Ireland BT9 5DU, UK. Tel: +44 (0)1223 413792, Fax +44(0)1223 212440. Facilities for etching, relief printing and screenprinting. Studio space for hire as well as tuition. 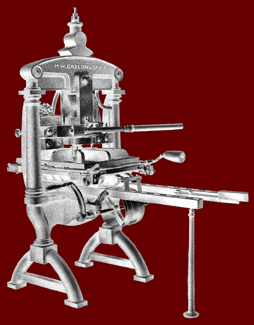 The Aragó Press specialises in limited editon prints and artist's books. I work in collaboration with writers, dancers and musicians. Relief printing: 2 Albion presses; screen printing: 1 etching press; digital printing with Mutoh 54" inkjet, and Epson Stylus Pro 4800 A2 printer, both using archival quality inks. A quantity of lead and wood type. 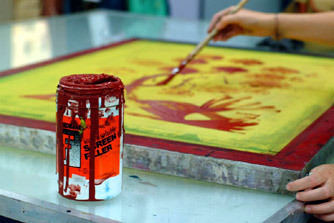 Open access workshop with facilities for etching, silkscreen and relief printing. A safer, non-toxic approach to printmaking. Colchester, Essex CO4 5HH, UK. Cuckoo Farm Associates can now access all the facilities available to studio occupiers. Intaglio/Relief printing Workshop hire/Classes. Picturesque waterside location. Welcome to Green Door Printmaking Studio, Derby's only open access artist studio dedicated to the art and craft of innovative and environmentally safer printmaking. We strive to maintain a diverse range of printmaking courses available at competitive prices. All of our courses are completed on a one-to-one basis, tailored specifically to each individual student and can be arranged whenever it suits you. We hold regular exhibitions throughout the year of our member's work in and around Derbyshire. We aim to showcase all of our artists and their work to raise the profile of printmaking within the artistic community. Edinburgh Printmakers Workshop and Gallery Ltd. Double Elephant is an open access community based printmaking studio available to anyone, professional printmakers, artists and beginners alike. We aim to offer resources, equipment and tuition to the highest professional standards. We encourage creativity and artistic personal development through a friendly approach and a focus on the artistic integrity of your printmaking. Glasgow Print Studio Workshop. Workshop facilities are available in etching/intaglio, stone and plate lithography, relief printing, photography and many other related processes. We also have a digital imaging service. The workshop is run by an experienced staff of expert artist printmakers who provide guidance and technical advice on all aspects of printmaking. Workshop access is available to all members of the public who have printmaking experience. GPC provides facilities for etching, lithography, screenprint, relief print, monoprint, drypoint amd collagraph in two well equipped studios at Griffin Mill. We promote fine art printmaking in all its vibrancy and variety. Based in Leicester we have a regional remit and a national reputation. Open access - editioning, etching, lithography & relief. ARTICHOKE Print Workshop was established by Colin Gale and Melvyn Petterson in 1992. The workshop is located in a Victorian Granary Warehouse in a thriving area of Brixton, in the southeast of London, England. Artichoke provides OPEN ACCESS facilities for fine art printmaking in the areas of intaglio, lithography, relief printing and photographic printmaking media. Londonprintstudio is a small not-for-profit organisation that provides educational resources in the graphic arts for artists, community organizations, education institutions and the public. West London Art Factory is a selection of brand new artist studios and a fully equipped screen-printing water based workshop. 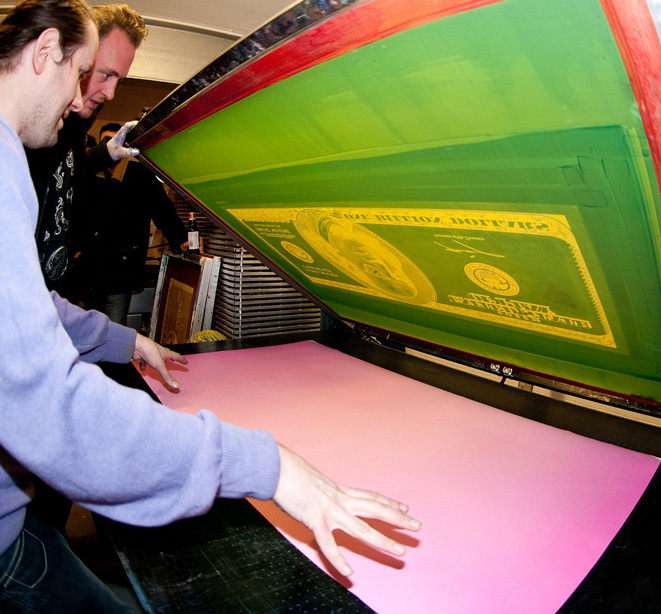 We offer memberships for experienced and novice screen-printing artists, courses and workshops. Paragon Centre, Searles Road, London SEl 4W, UK. Tel: +44(0)171 7085796. Etching, lithography, relief. Evening and weekend courses, reasonable rates. East London Printmakers (ELP) is a group of contemporary artist-printmakers based in Hackney. ELP manage a spacious and modern printmaking studio which provides an open access facility for printmakers, and run workshops and educational programmes for its members and the general public. ELP also organise exhibitions for its members. Northern Print is the centre for contemporary printmaking in the North East. We’re here for everyone interested in any aspect of printmaking. Since early days the workshop has run a range of short courses on print processes, such as etching, lithography, collagraph, mixed media printmaking, monoprinting, papermaking, photo litho, relief printing, (i.e. lino and woodcut), screen printing, and viscosity etching. We are setting up safe etching methods, having had Keith Howard run a course here a while ago, and also noting the success that Edinburgh printworkshop has had with safe etching. Poole, Dorset BH15 1AG, UK. Contact: John Liddell. Tel: +44(0)1202 393776. Classes/ Courses in Relief and Experimental Printmaking. Red Hot Press is a fine art print workshop in Hampshire, England. We are open to the public, and dedicated to the production and promotion of original prints as a Fine Art medium. Sarah Mander and Katherine Anteney founded Red Hot Press in 2004. It is a print facility that caters for relief and intaglio printmaking techniques. All are welcome from interested beginners to accomplished printmakers to learn and use printmaking as a creative process. The Print Workshop at Gainsborough's House is an open-access studio available to anyone interested in printmaking. The Workshop was established in 1978 in premises opening onto the charming garden at Gainsborough's House. Swansea Print Workshop was set up in 1998 by a group of artists, with the intention of providing much needed professional printmaking and drawing facilities in the Swansea area and creating a CENTRE of excellence for printmaking in South Wales. The studios provide a forum for established printmakers and would-be printmakers to meet and exchange ideas and to share a platform of exhibition opportunities. Our Studios offer a diverse range of stimulating, artist-led courses in a friendly and creative environment. Our aim is to encourage students of develop confidence in their own artistic abilities and ideas, helping them start to further their own artistic practice. Unit H, The Alpha Centre, Babbage Road, Totnes, Devon TQ9 5JA. Contact: Martin Broadbent. Tel: +44 (0)1803 864664. Lithographic production studio. Platemaking, colour proofing, editioning, including large formats.